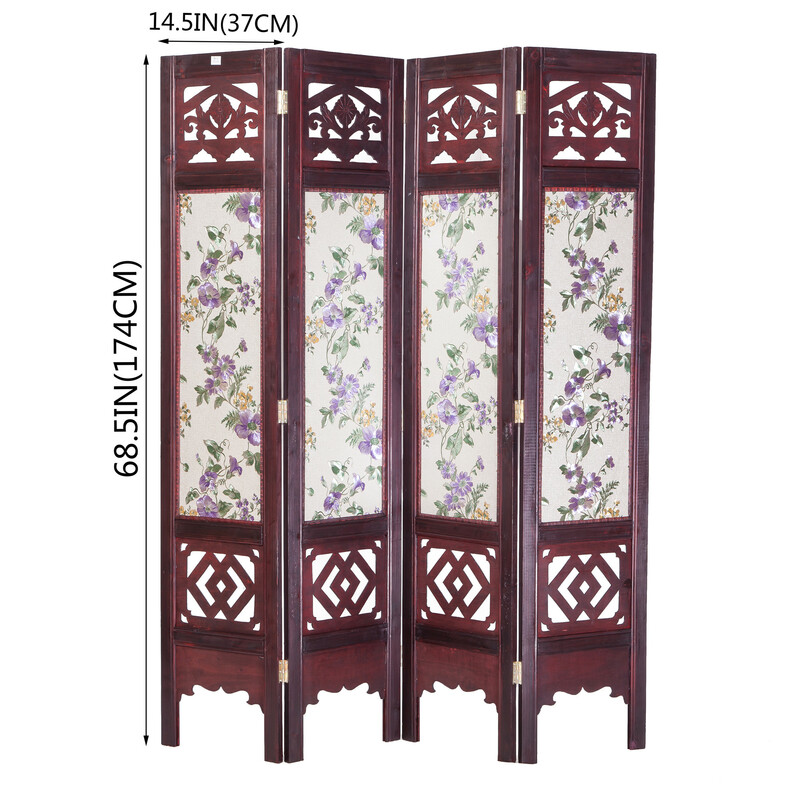 Complete your Oriental accent interior design with this elegant, beautiful four panels screen room divider. 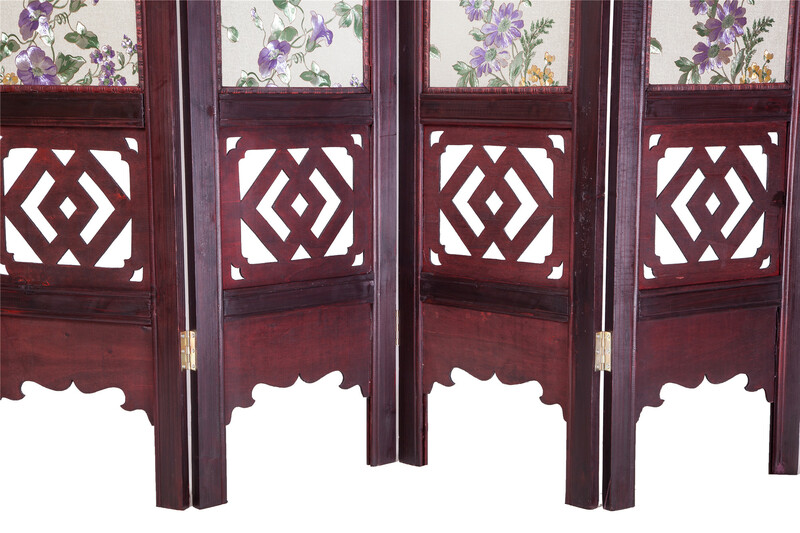 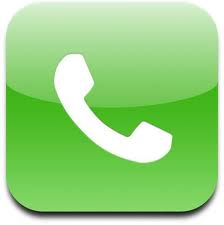 It is mahogany teak color Finish, back side is plain painted in the same color. 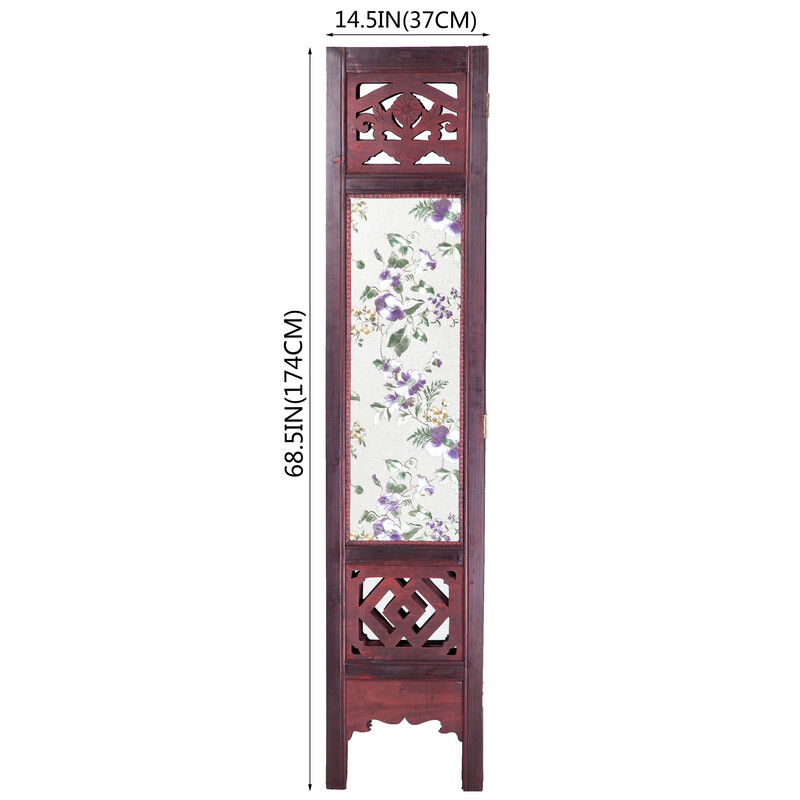 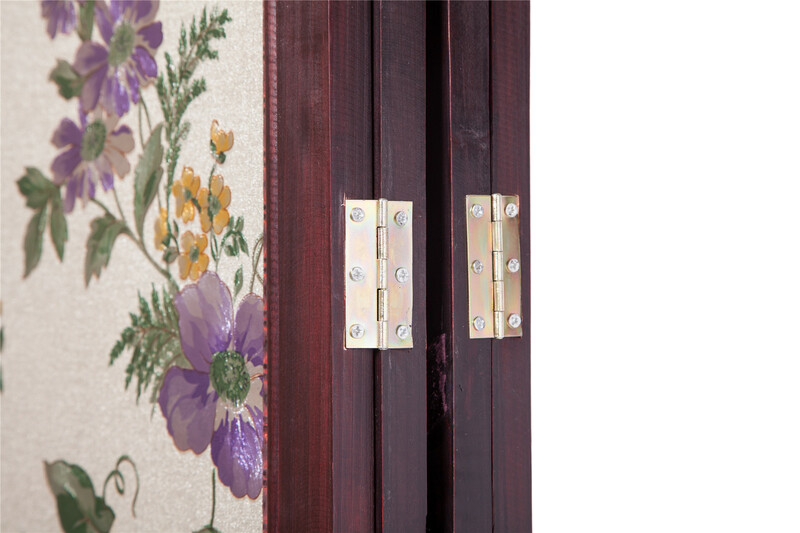 This vintage style wooden screen is sure to become the focal point of any room while providing desired separation.